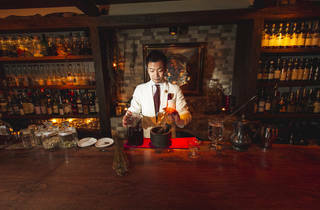 When we visit Bar BenFiddich, Hiroyasu Kayama gives us an unusual souvenir: a bag of dried senburi root (pictured above on the left of the bar counter), a virulently bitter herb that’s normally used to relieve indigestion. 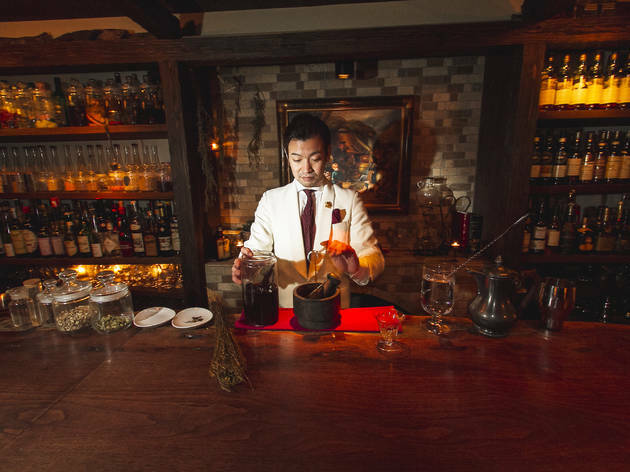 ‘I’ve got loads of this stuff sitting around,’ he says, as he grinds a section of root with some red wine, brandy, orange peel and an array of spices to create his own version of amaro, the potent Italian digestif. 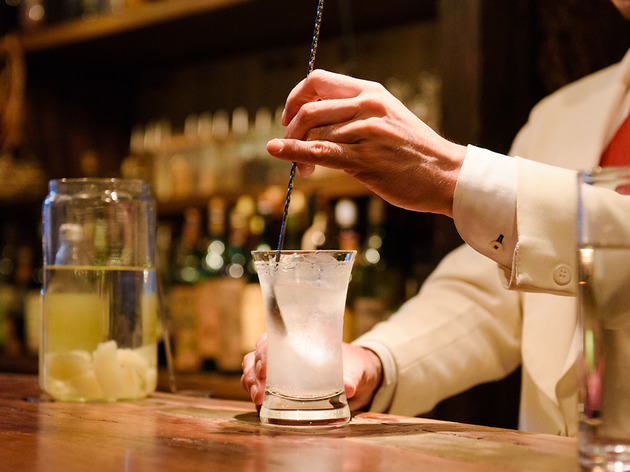 Kayama opened BenFiddich in 2013, after working for years as the head bartender at Nishi-Azabu mixology bar Amber. 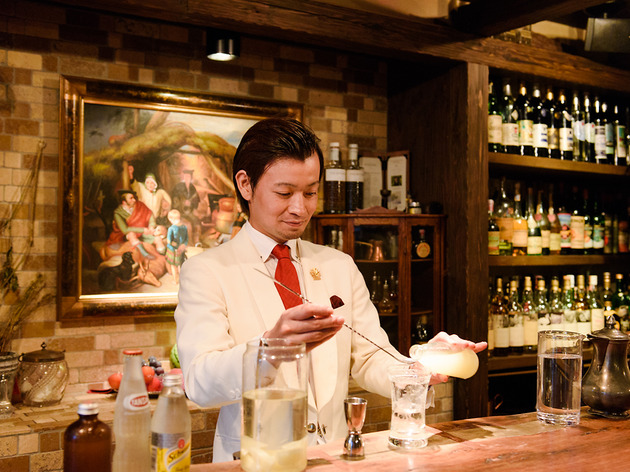 It’s given him free rein to pursue a longstanding interest in traditional elixirs and herbal liquors, often using ingredients – anise, fennel, wormwood – grown on his family’s plot in Chichibu, Saitama. 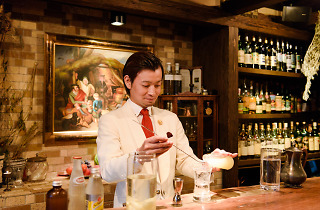 The bar has an impressive whisky selection too, but Kayama’s apothecary style cocktails are the main attraction. 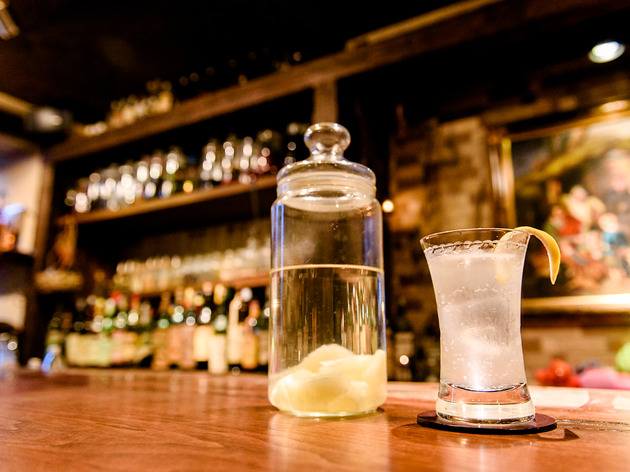 Jars of spices and housemade infusions line the shelves behind the counter, and he’s as likely to prepare your drink with a pestle and mortar as a cocktail shaker. 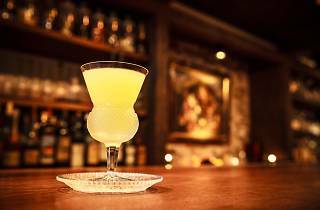 He was even distilling his own absinthe, until a bureaucrat acquaintance warned him that he might get in legal trouble. 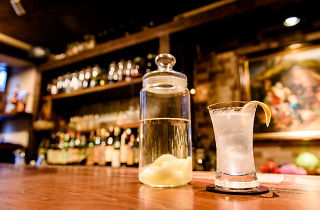 There’s no menu at BenFiddich, and Kayama says that his recipes are in constant flux. 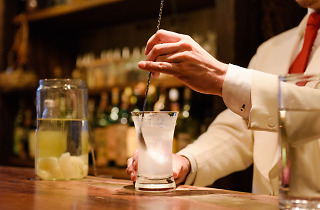 ‘I’m always conducting experiments with my customers,’ he says with a chortle. 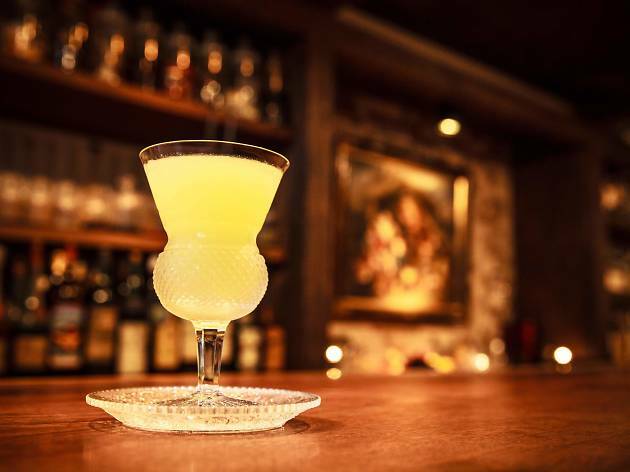 Solo imbibers might at first be put off by the quick turnover – many patrons come, order a custom cocktail, down it and leave – but we recommend lingering, admiring the faux-Scottish whisky brewery interior, and waiting for that quiet moment that's bound to come at some point during the evening.